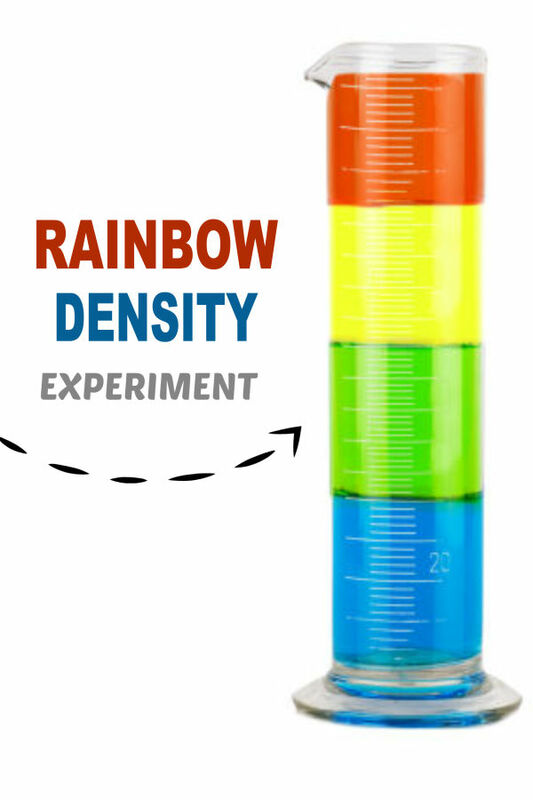 Learn about the weather and why it rains with this fun rainbow experiment for kids! My kids absolutely loved making rain clouds in a jar a few years ago! Today, we decided to revisit that experiment but with more color. Today, we sough out to make rainbow rain in a jar, and the results were just too fun! 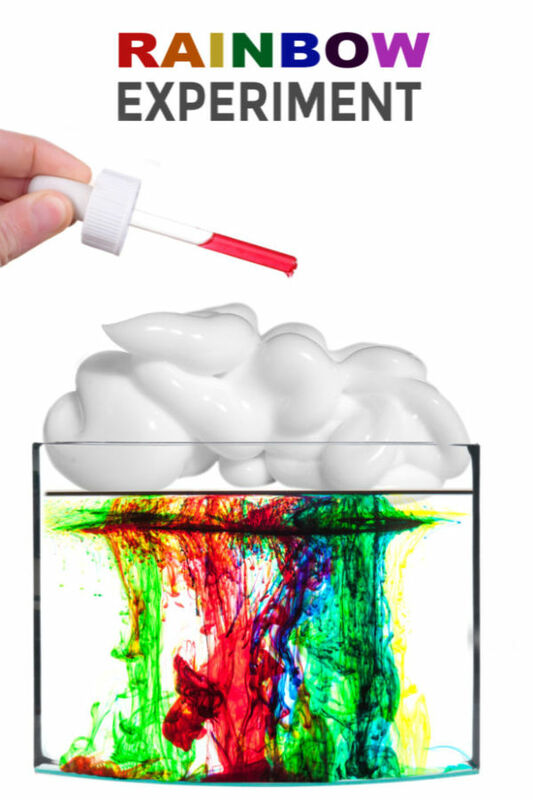 Read on to see how you can set up this fun lesson in science at home with your kids. 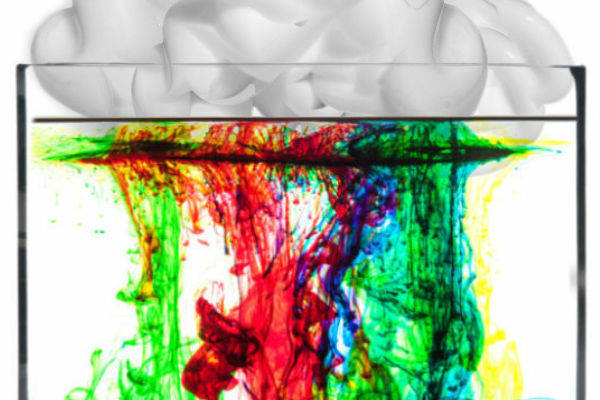 You will want to begin by making your "rainbow rain"
In a bowl combine 1/2 cup of water with several drops of food coloring and stir, using one bowl for each color of "rain" that you wish to make. Set these to the side. Fill a large glass or vase 2/3 of the way with cold water. 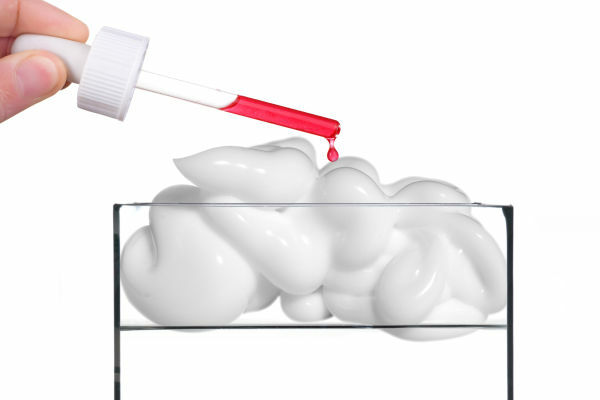 Then, add shaving cream to the top-surface of the water. It is now time to make it rain rainbows! 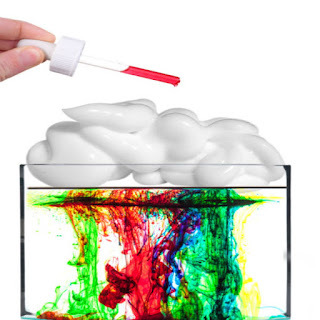 Have kids use pipettes or an eye dropper to drop the varying colors of water into the shaving cream cloud. As the "cloud" fills with the varying watercolors it will start to rain. The more colored water that is added the more rain that falls. 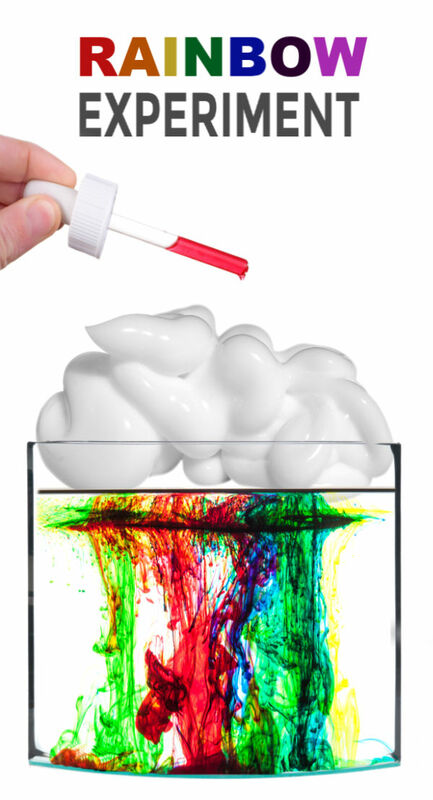 This experiment is a great way to teach kids about the weather, clouds, and rain. 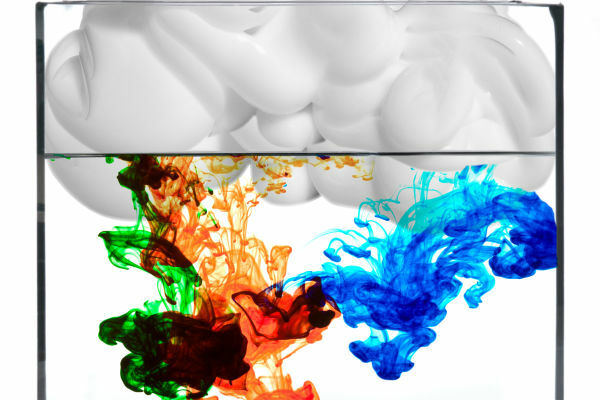 Just like a cloud the shaving cream slowly takes in the varying colors of rain. As the cloud fills it swells, holding as much inside as it can before reaching it's abundance. It is at this point that the rain begins to fall. Read more on the science behind weather systems and how rain forms. 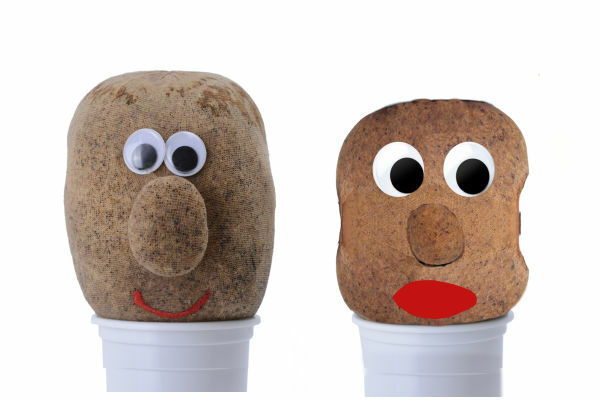 Experiment with the variables in this activity. What happens if you use cold water verses hot water? Try it side by side. What if you were to use oil instead of water to fill the glass? We tried it, and the results were SO COOL! What other ways might you be able to extend this experiment? 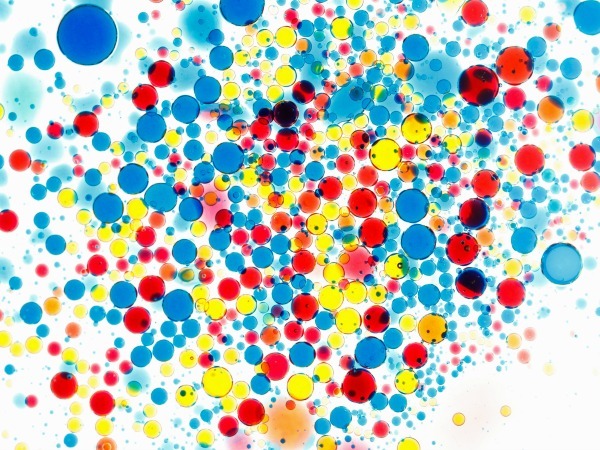 Brainstorm, get creative, and have fun! 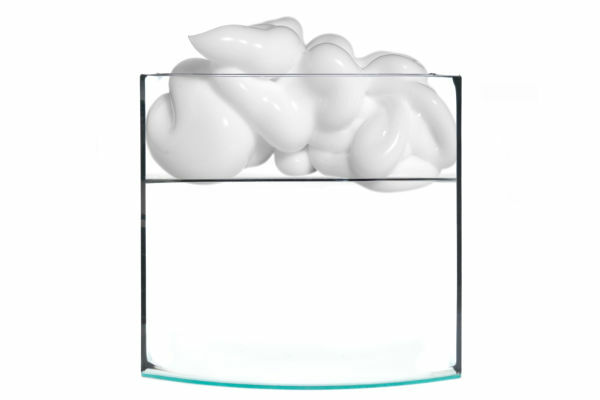 If you are having trouble getting your cloud to overflow try placing the pipettes inside of the shave foam when filling the cloud. This worked much faster for us! 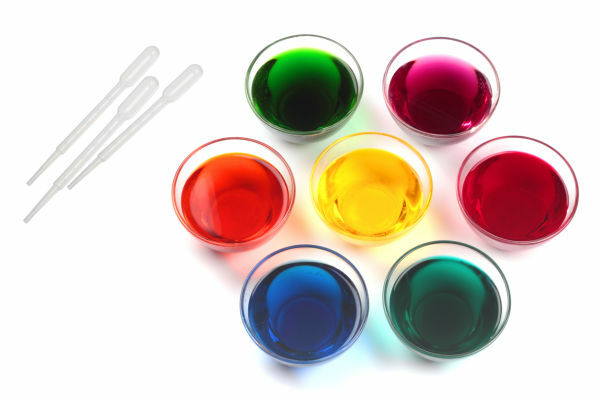 Just be sure to rinse the pipettes before refilling them with the varying colors of water. 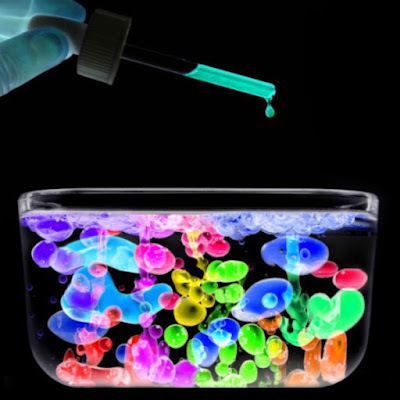 Make glow-in-the-dark rain with this fun experiment for kids. 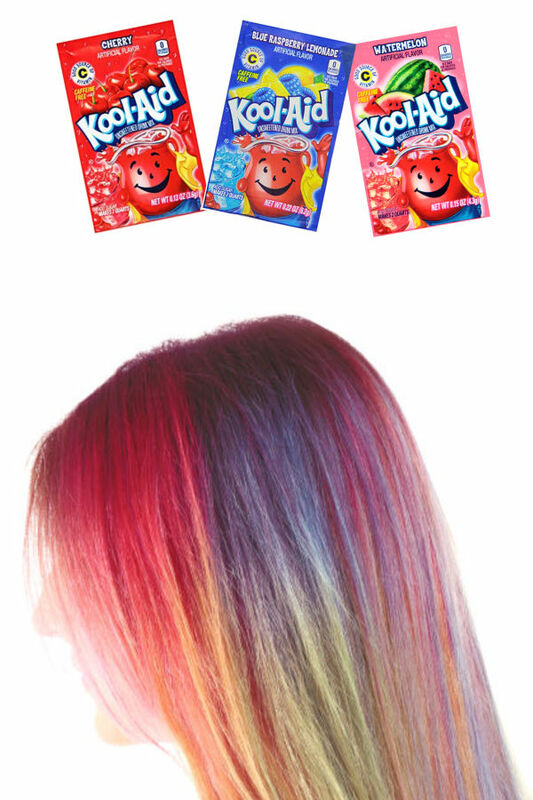 To make every color of "rainbow rain" we simply combined food colors. The pipettes that we used for this activity can be purchased on Amazon here.